SKU: N/A. Categories: Bunions, Hammer Toes. Whether you struggle with hammertoes, Morton’s neuroma, bunions or the ravages of time have simply worn down the elasticity in your foot muscles and ligaments we recommend a daily dose of toe stretches. Simply slide the soft, flexible, medical grade gel Toe Stretchers between your toes and feel the relief (great in the bath or foot spa too). Includes travel bag. Use Toe Stretchers for 5 to 15 minutes a day to treat hammertoes, Morton’s neuroma, overlapping or pinched toes and bunions. 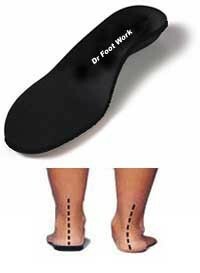 Exercising your toes using toe spacer regularly will keep your feet in tip top shape. 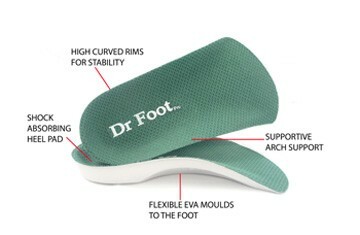 They are performing stretches on your toes and feet while you go about your daily routine. Increase circulation, red blood cell activity, and bone realignment. First, get your Toe Stretcher wet by running them under the faucet for a few moments. After they are wet go ahead and line up the holes in the Healthytoes to your own toes (Make sure the big toe goes into the bigger end). You will have to stretch the Toe Stretcher between your own toes so that each toe is showing through the other side (if you have smaller toes or shorter toes it’s ok; just making sure that your toes are separated and you feel they are being stretched!). Now your part is finished. Just sit back, relax, and let the Toe Stretcher gently heal. Note: fitting and adjusting your Toe Stretchers maybe cumbersome at first depending upon how tight your toes are. Once you practice wearing them, and your toes stretch, application will become easier. Toe Stretcher can be worn while relaxing on the couch or while soaking in the tub. They can be worn under your desk or on the beach. They pack easily in your luggage and are great to wear after a long day of traveling. The Toe Stretcher can be cleaned after every use if you so choose. Simply clean them with anti-bacterial soap and hot water. They are a non-porous material, so they won’t absorb things they come in contact with.